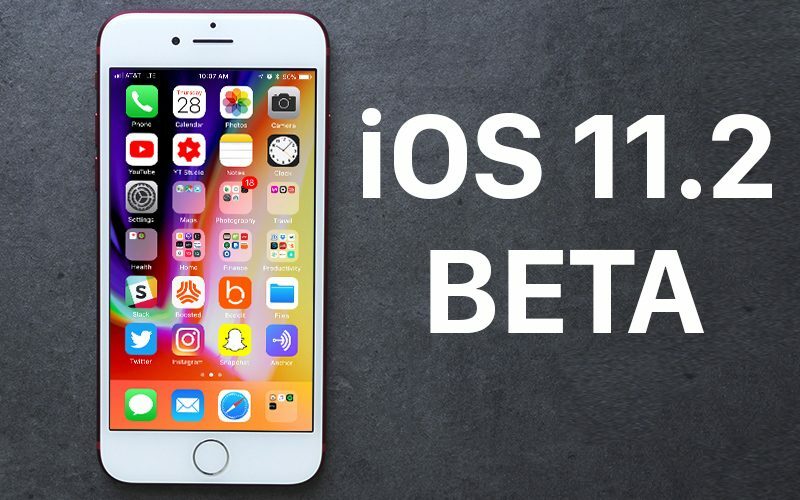 Apple today seeded the sixth beta of an upcoming iOS 11.2 update to developers, a few days after releasing the fifth iOS 11.2 beta, a month after releasing the first major iOS 11 update, iOS 11.1, and two weeks after releasing the iOS 11.1.2 update. Registered developers can download the new iOS 11.2 beta from Apple's Developer Center or over-the-air once the proper configuration profile has been installed from the Developer Center. Today's beta update may be the iOS 11.2 golden master, suggesting we could see the official release of iOS 11.2 soon. In addition to these bug fixes, iOS 11.2 introduces a new Now Playing option for controlling content on the Apple TV in Control Center, a dedicated Sports section in the TV app, redesigned camera emoji, a new loading animation for Live Photos effects, and new Live wallpapers for the iPhone X, plus it adds a feature that lets developers offer new customers discounted introductory pricing for auto-renewable subscriptions on the App Store. Update: Today's beta is also available for public beta testers. I can't wait for this public release. None of my friends have beta so I haven't been able to send anyone cash! With how large of a company Apple is, why does it take so much time for them to come out with updates to software and products? They have over 100,000 employees. Probably a 1/3 are engineers or 30,000 and half are software half computer/devices. That’s 15,000 software engineers. Probably 10,000 are dedicated to iOS. Wouldn’t they have a couple hundred engineers to implement iMessage in the Cloud? Not sure what the hold up is... Maybe it’s scalability on the server end? I mean over 40 billion iMessages are sent per day (that was 2013). As a software engineer, I can tell you that one of the problems of software is that it doesn’t scale well. Throwing more and more people at a task increases the complexity of the project in ways you can’t imagine. Security, and user data, two things that if gotten wrong, tank the image and customer base like few other things can. They want to get this right. It is best they take their time with it, than implement it half-baked. ...Just in time for iOS 12 and introduction of a host of new bugs to fix. I really wish Apple would just pause the whole annual release cycle and just make iOS extremely efficient and stable. 2.22 GB on my X, downloading now. Any word on what this changes from beta 5? Maybe it works without killing your phone as a phone? Yeah that was in there for many of us. Did this beta (and the previous) remove the Apple TV “Now Playing” widget from control center? I was just getting used to it and now it’s gone.